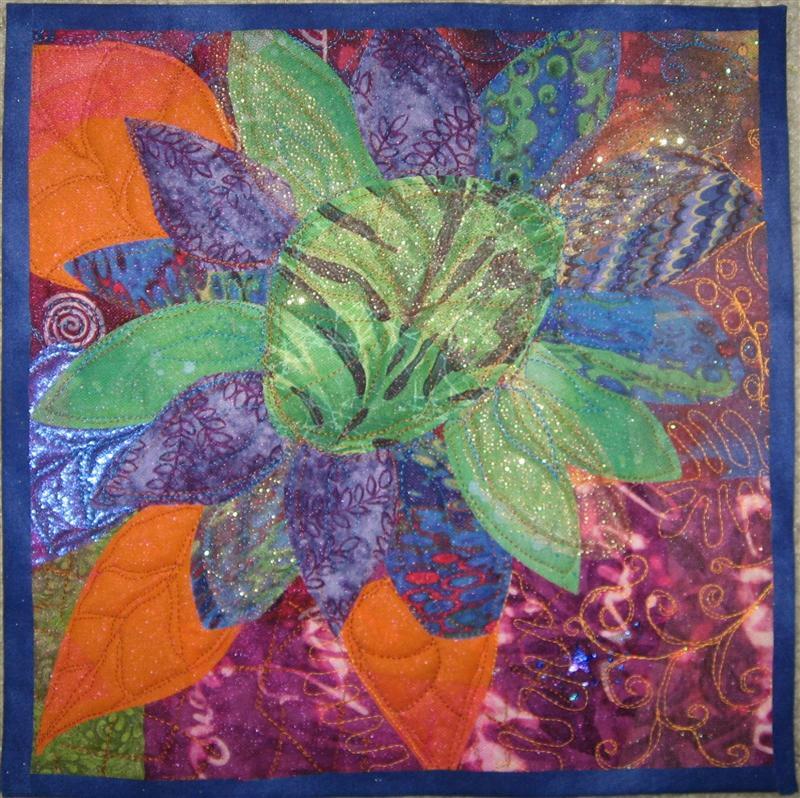 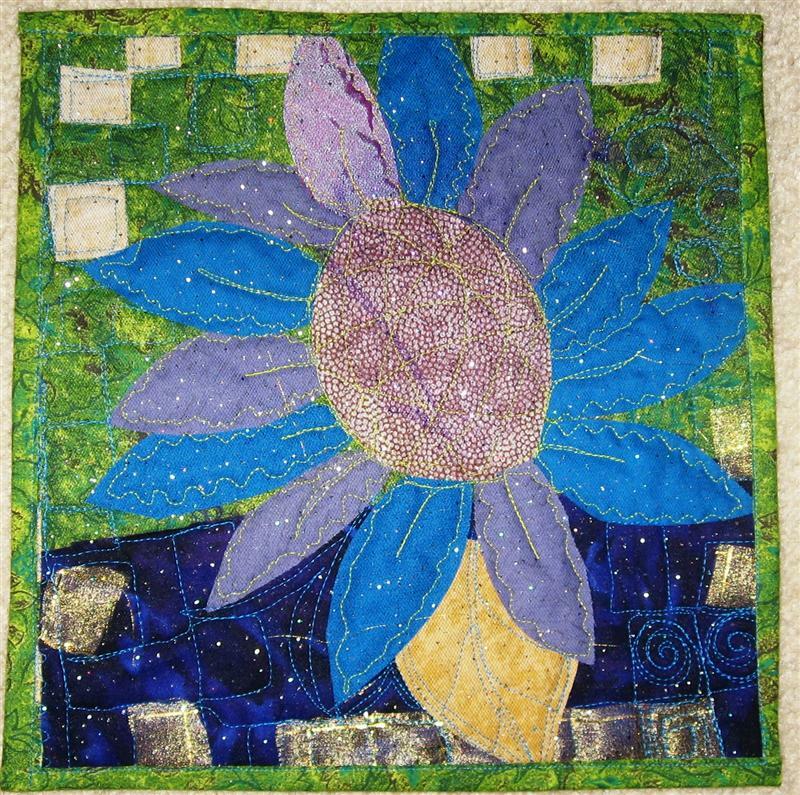 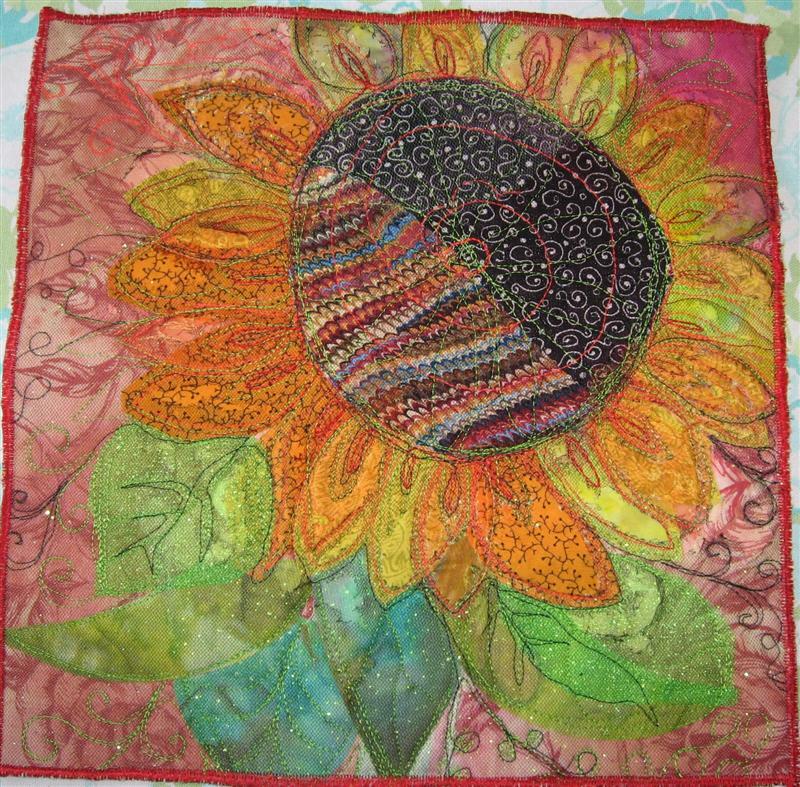 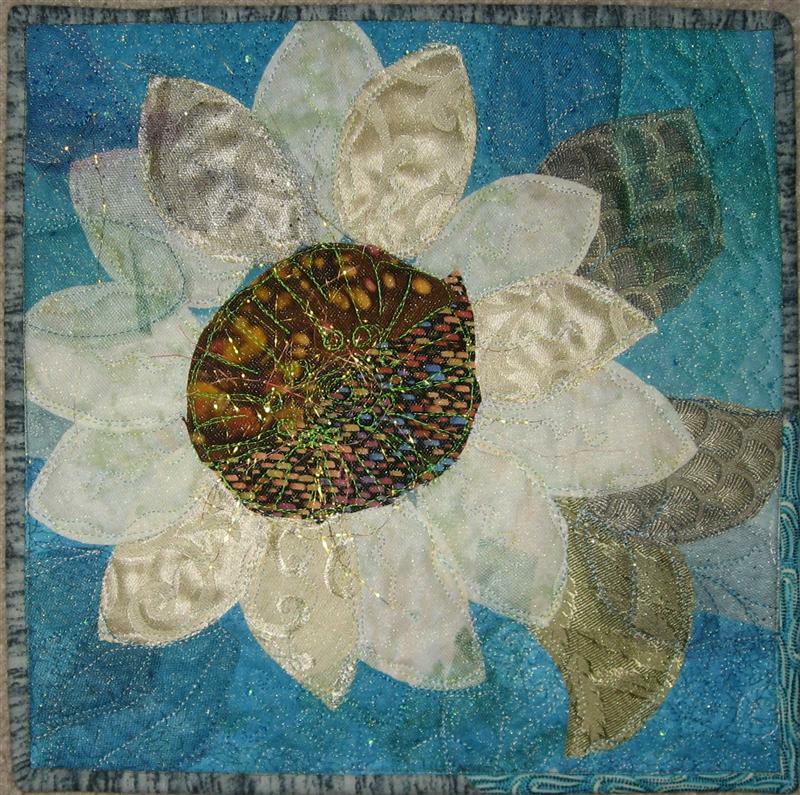 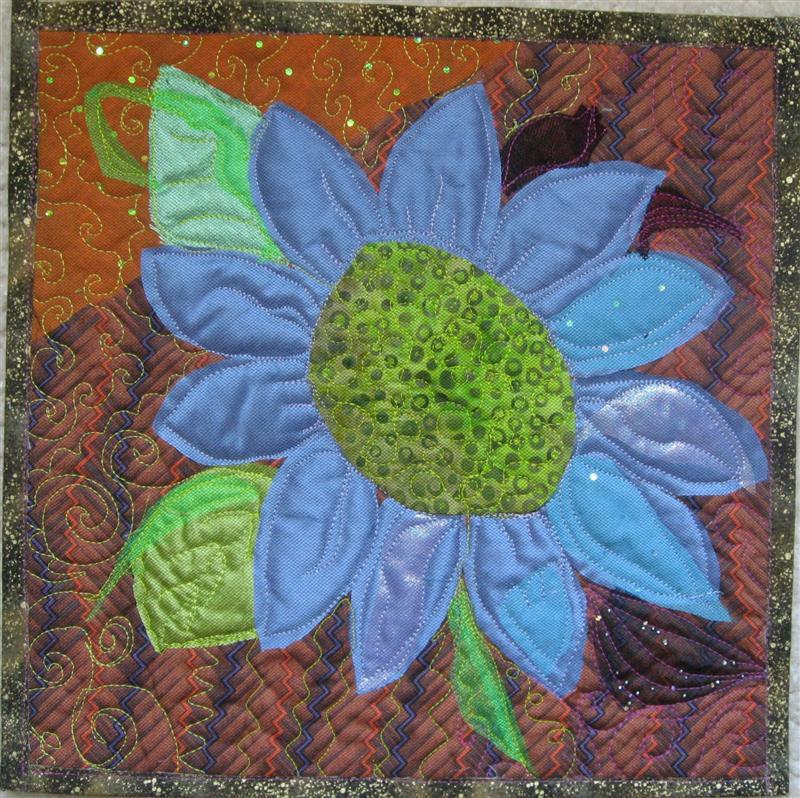 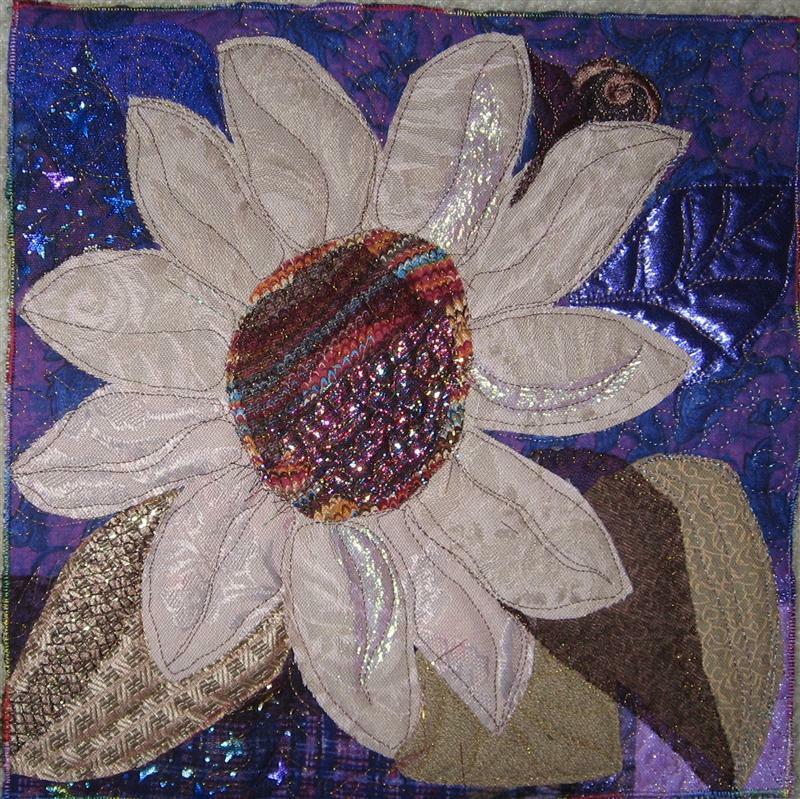 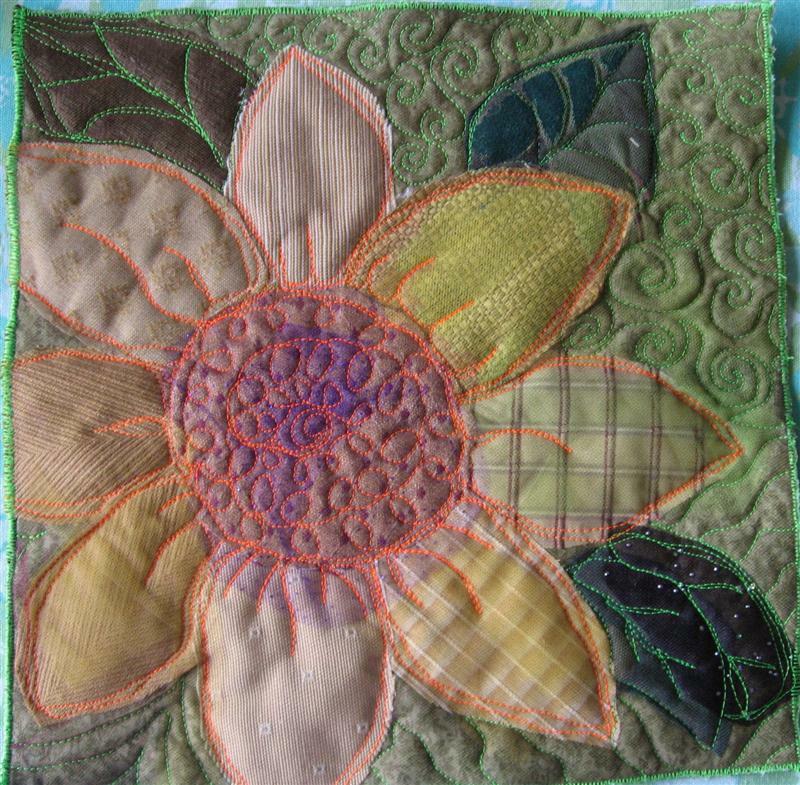 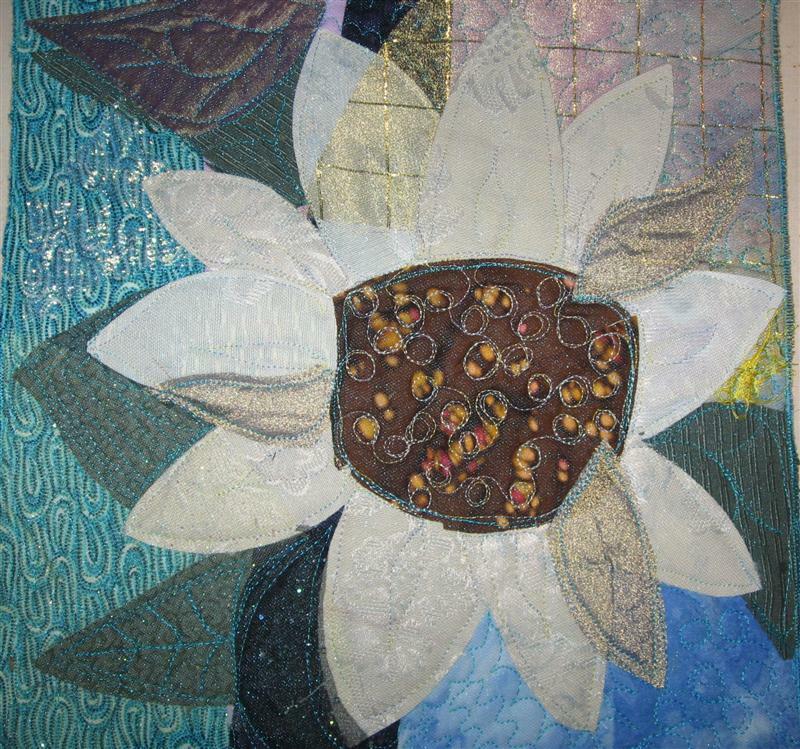 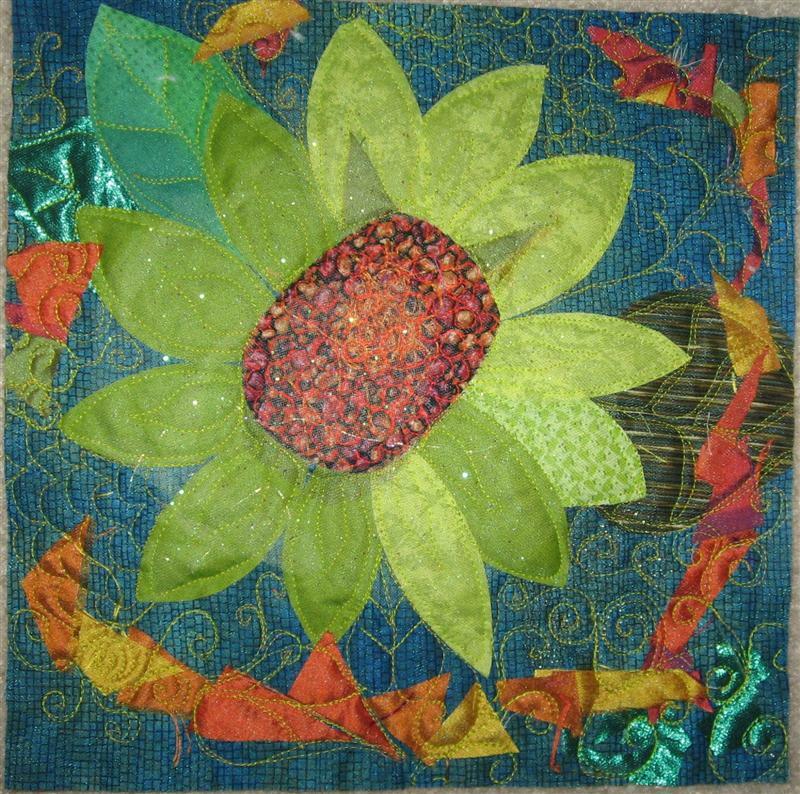 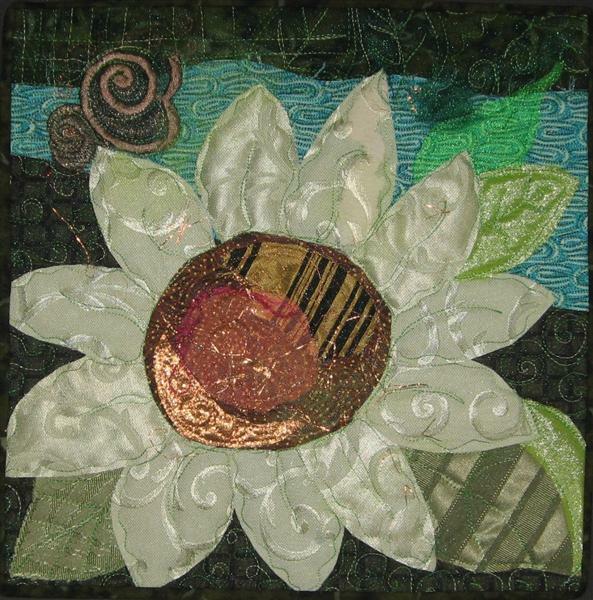 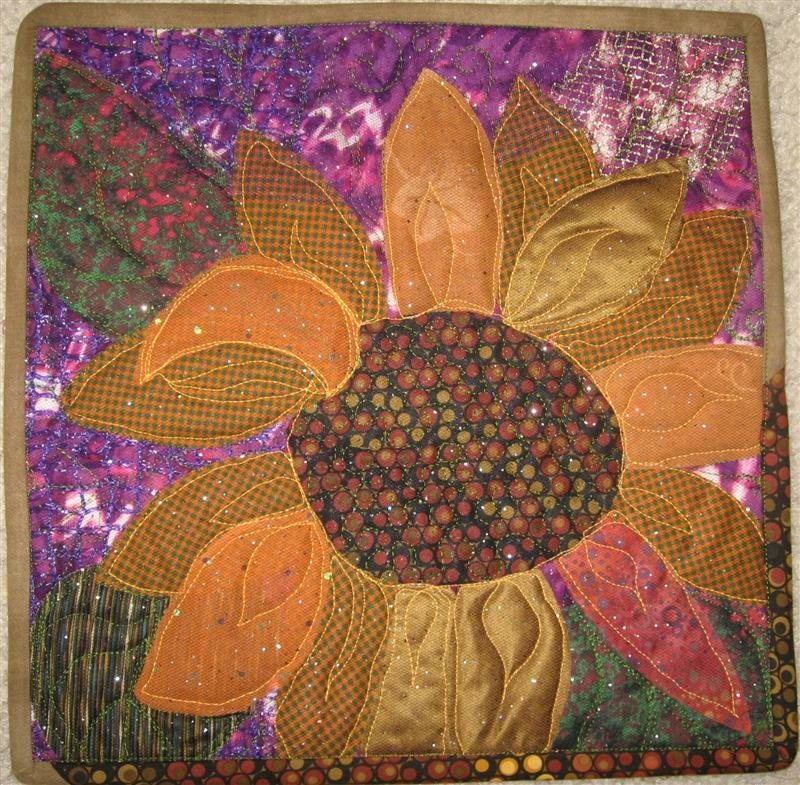 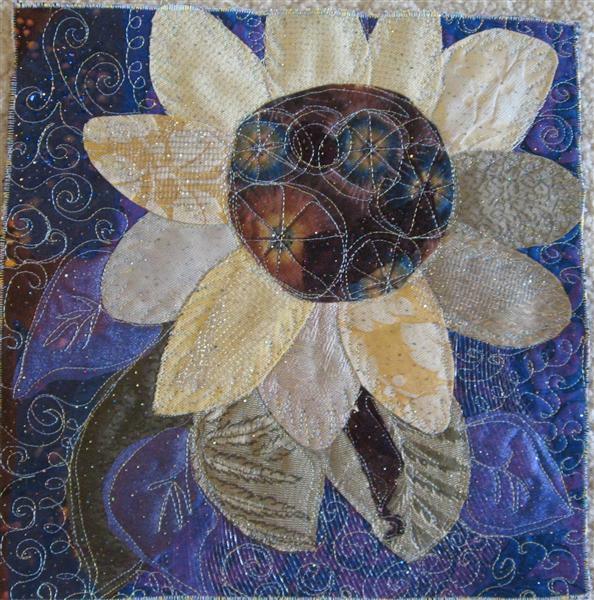 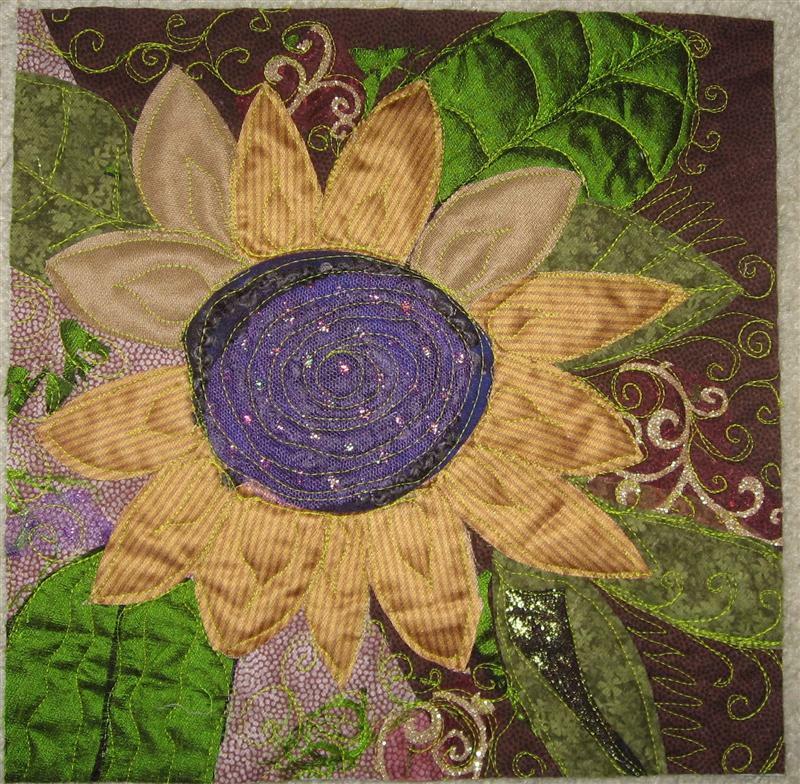 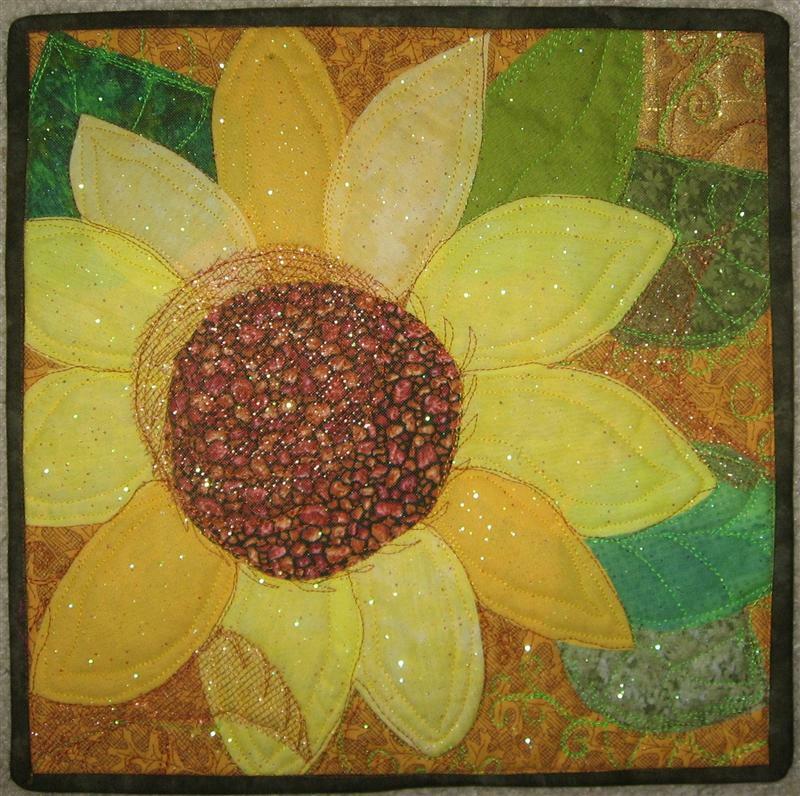 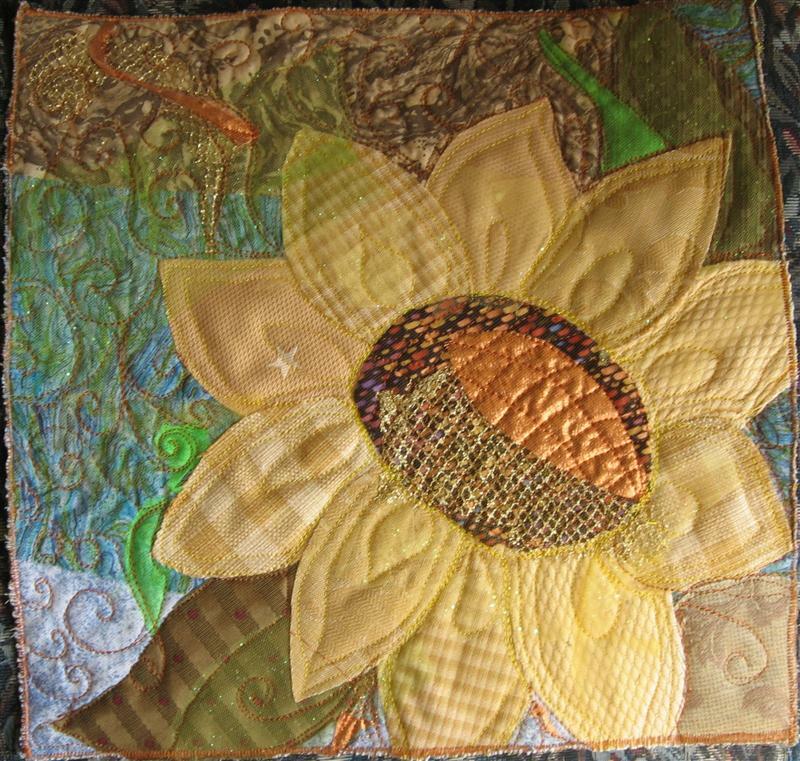 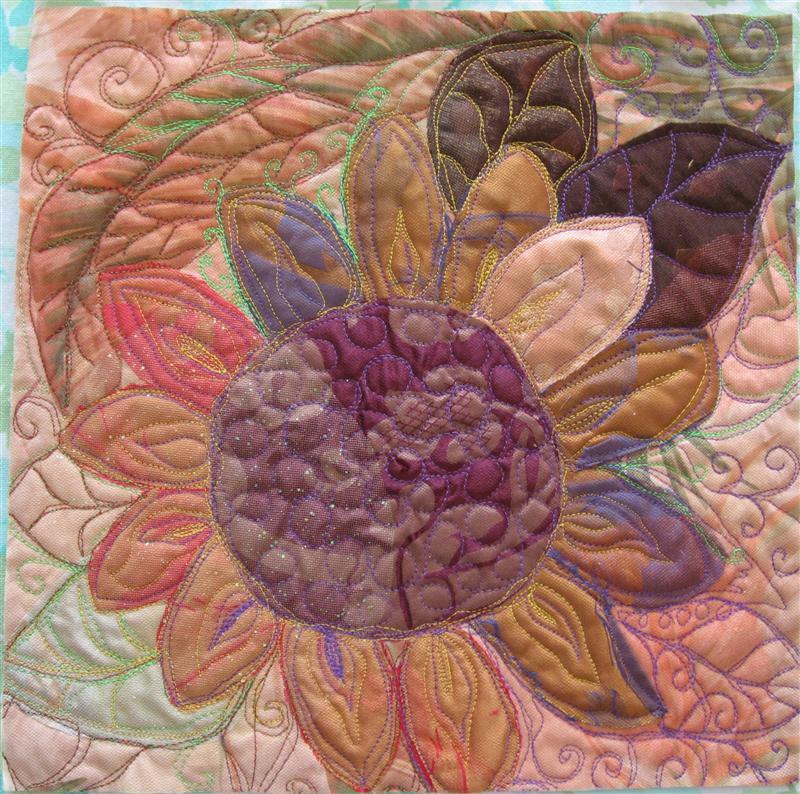 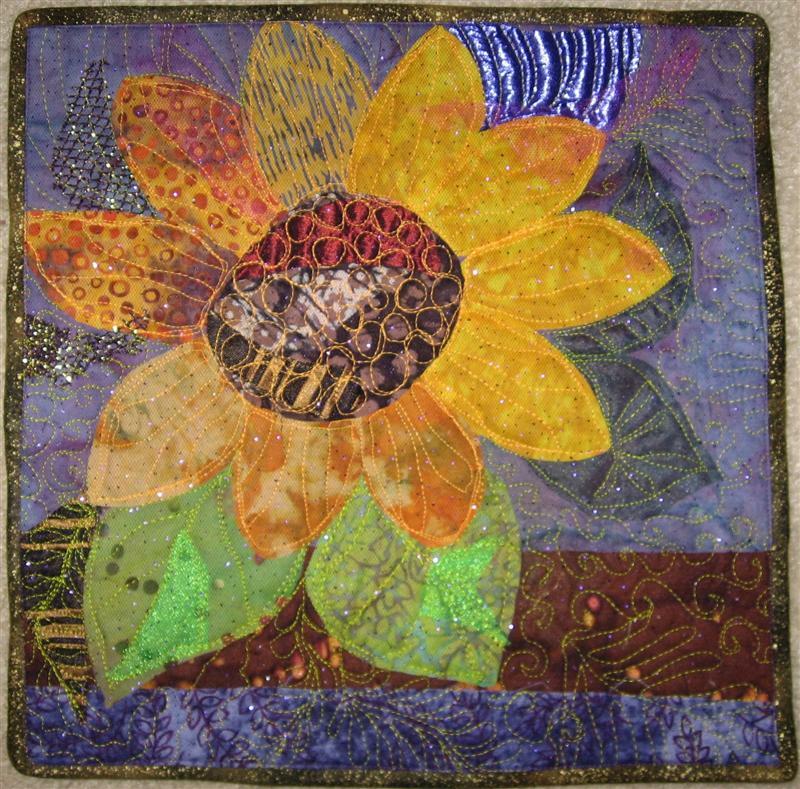 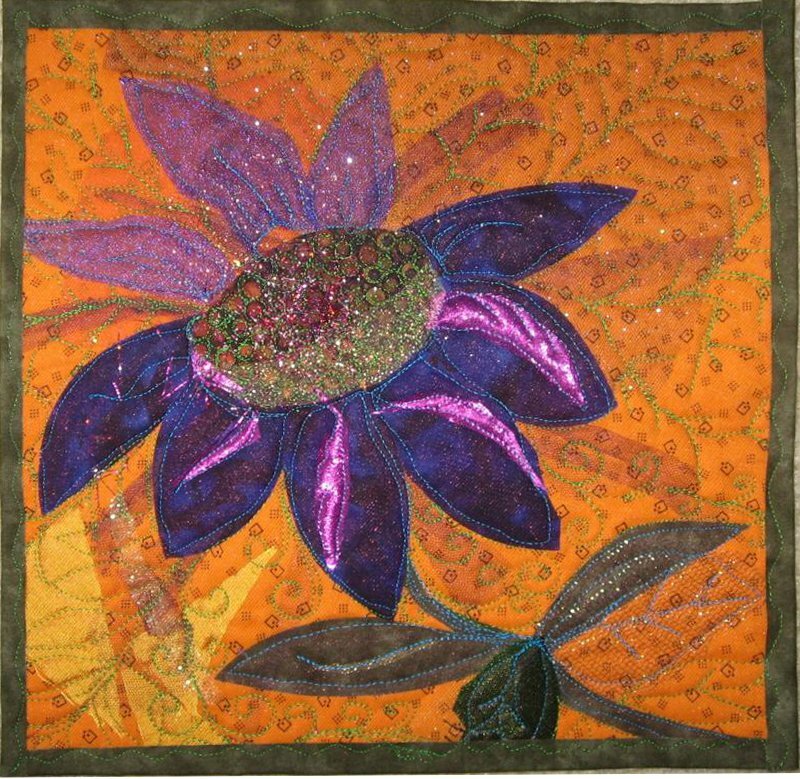 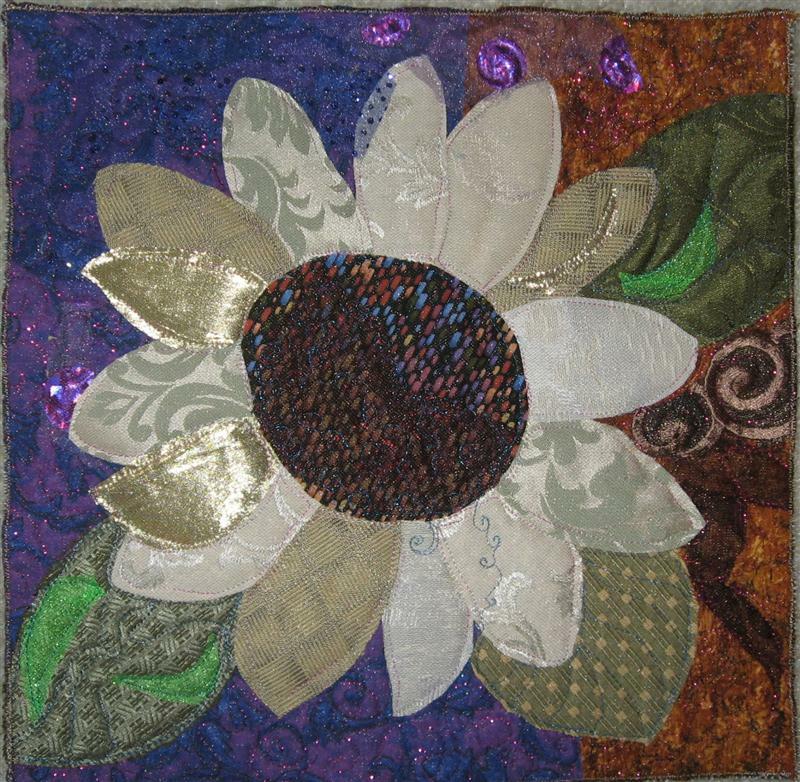 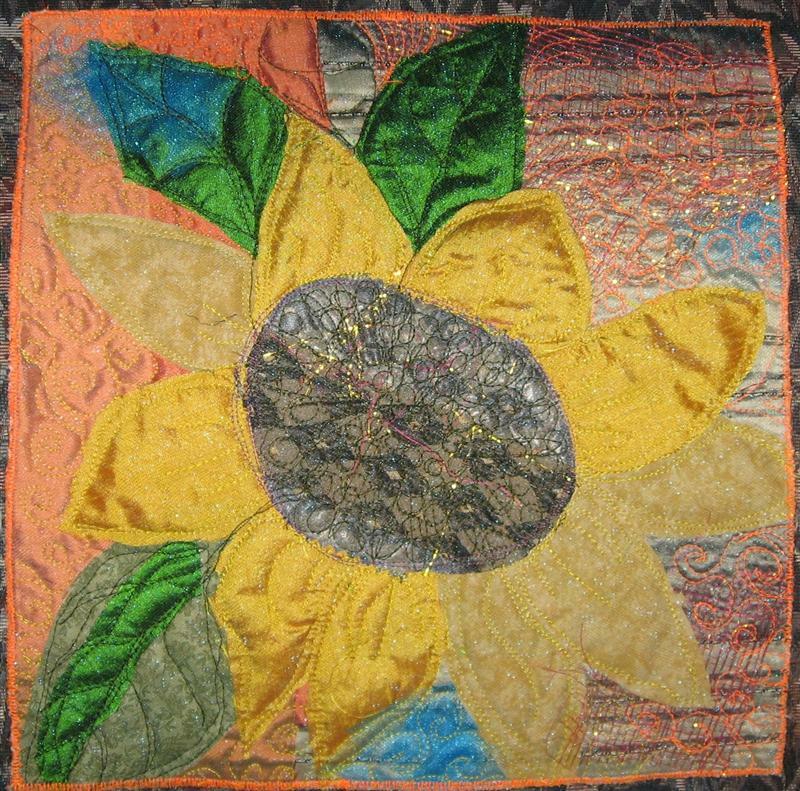 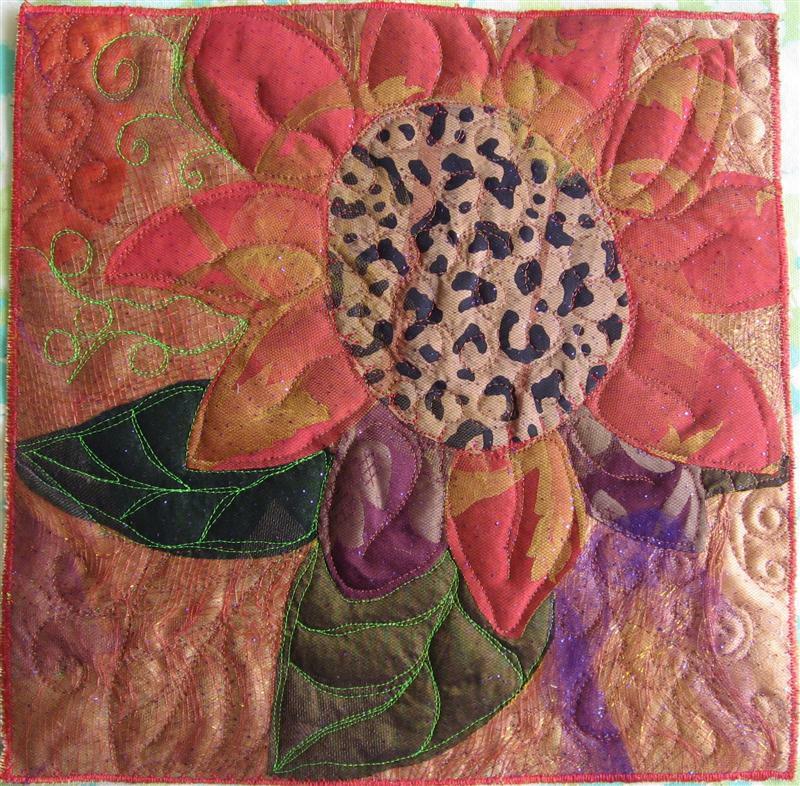 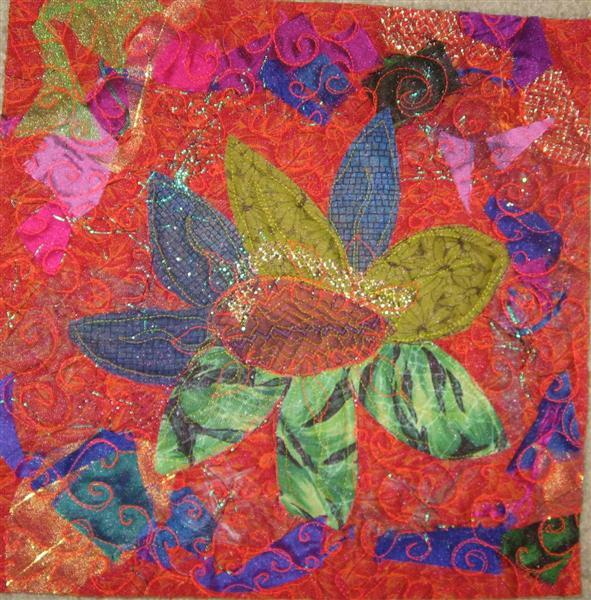 The Sunflower quilts were a personal challenge to make. 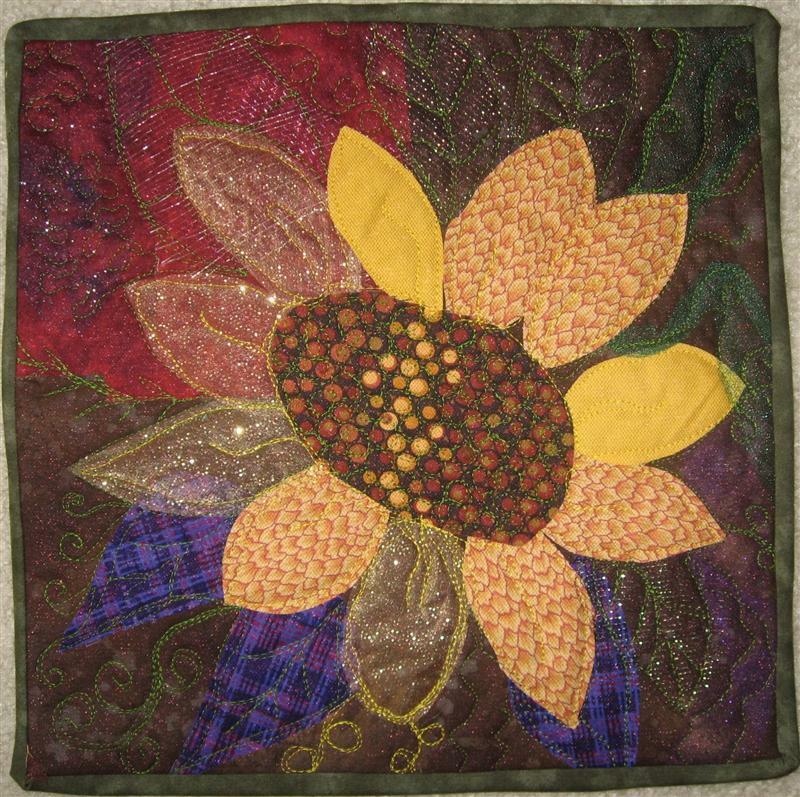 I had difficulty settling down to work in the long cold gray winter of 2007-8. 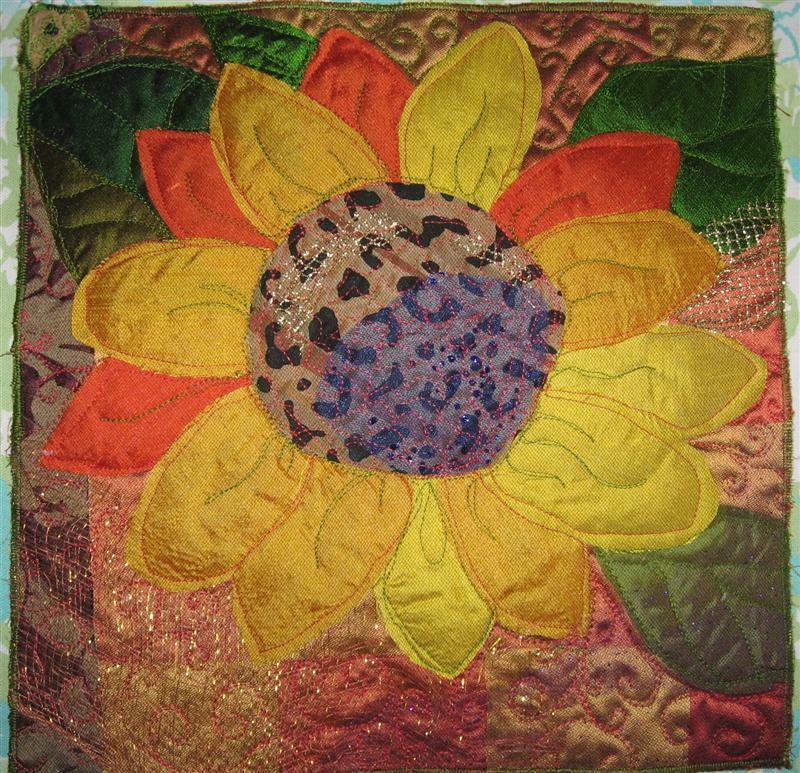 The lethargy continued in Spring, even though the weather improved. 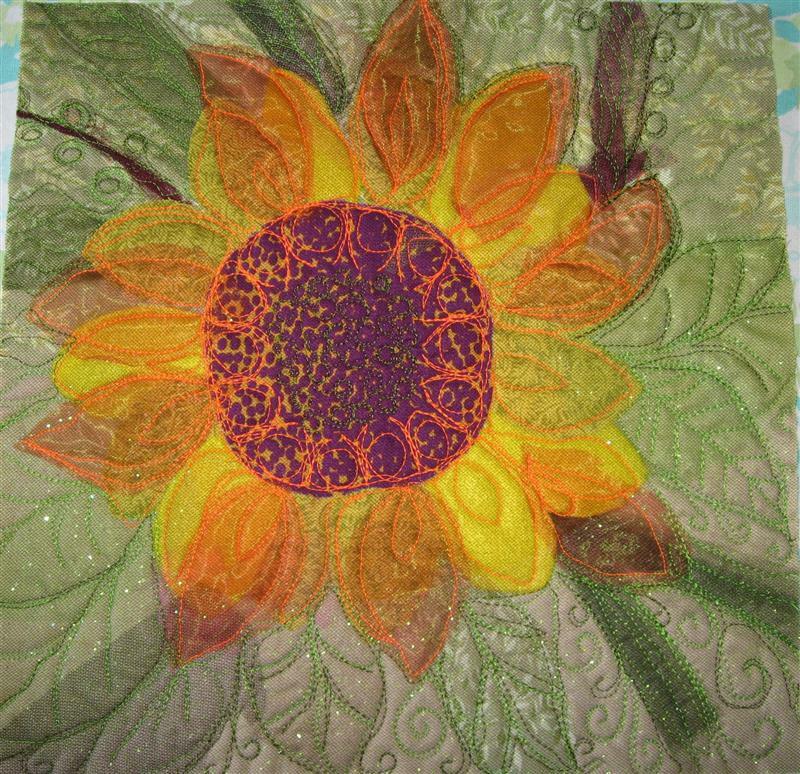 So I decided to get back into my habit of daily sewing, I would make a 12� square every day, even if that was the only thing I sewed. 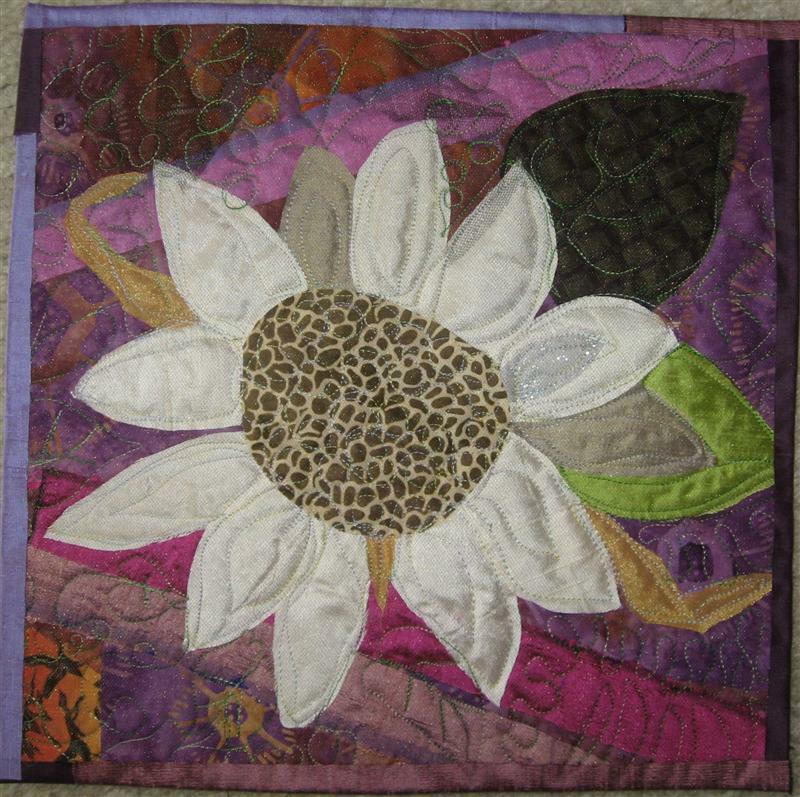 Although I didn�t make one every day, I did find it was helpful to have the goal to strive toward. 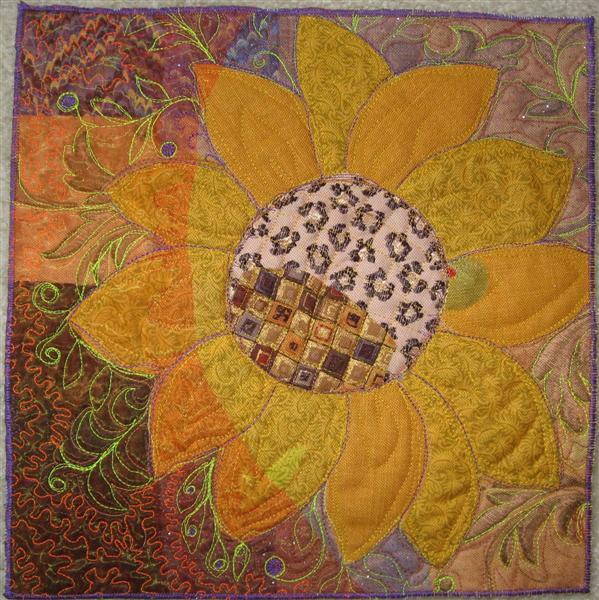 Part of the challenge was that I would spend no time planning, and just use whatever fabrics were near at hand. 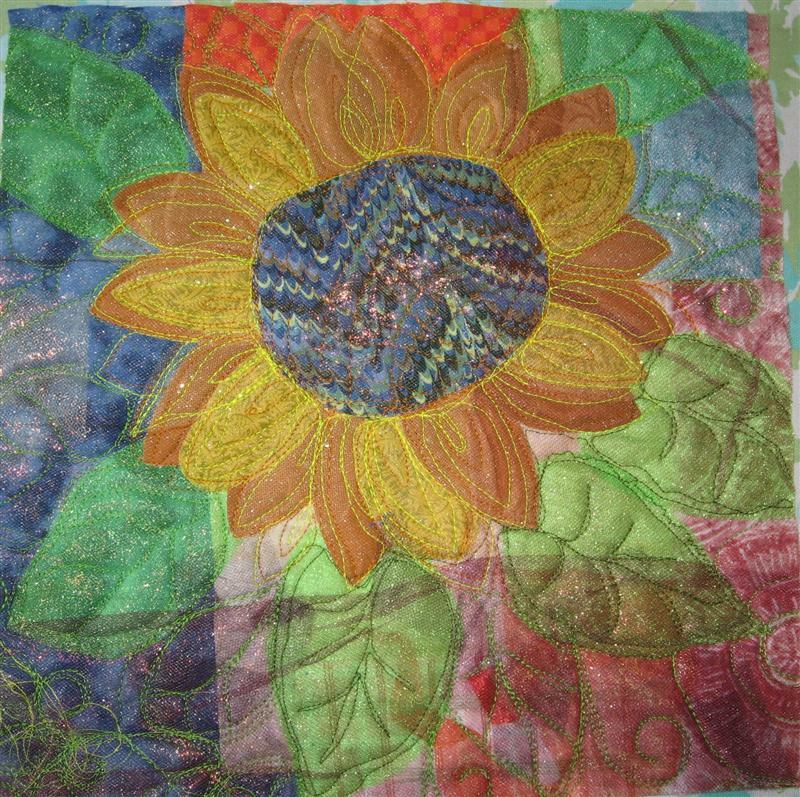 The scraps I had left from other quilts, decorator sample books, bits of my curtains, and silk swatches are all included in the quilts. 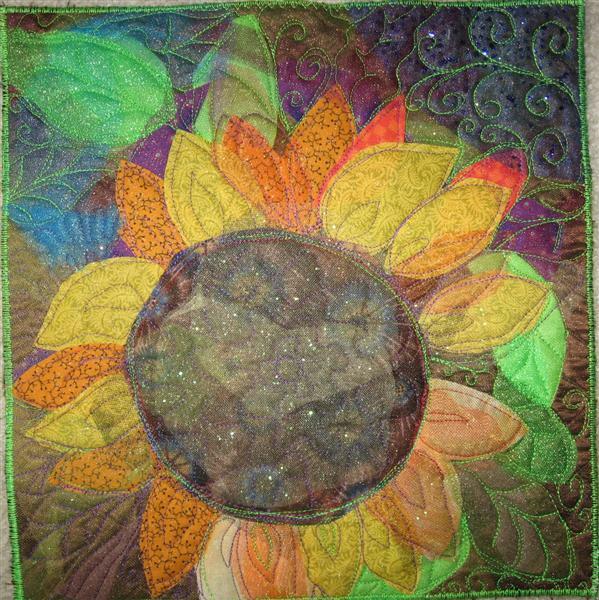 The only constants were that my subject was a sunflower and the size was 12� square. 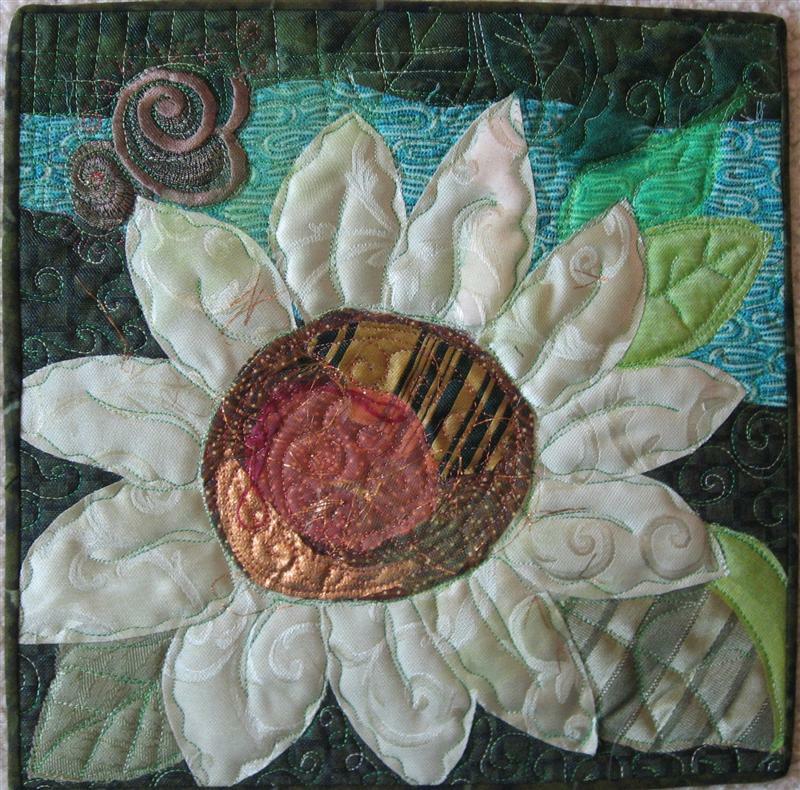 The pieces were quilted as soon as composed, and hopefully bound also. 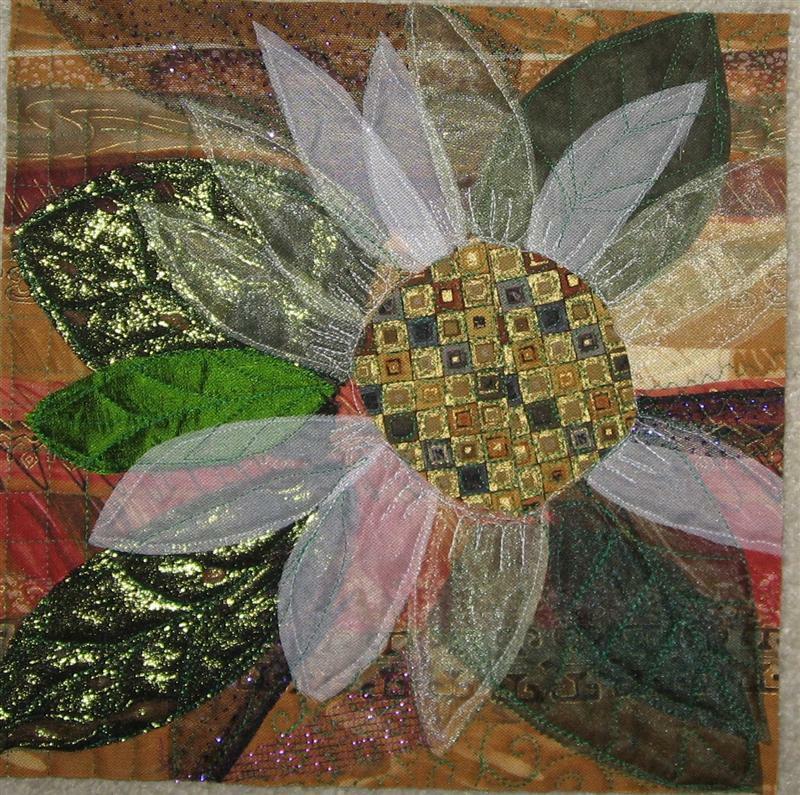 I stil find it helpful to make them, as it forces me into my studio. 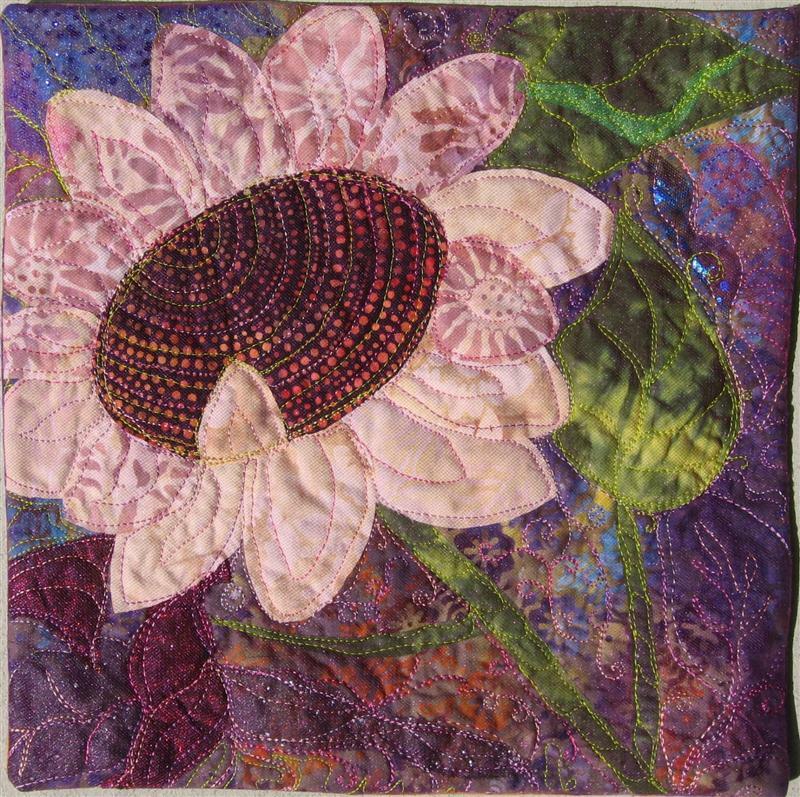 And once I�m in there, a lot gets done.